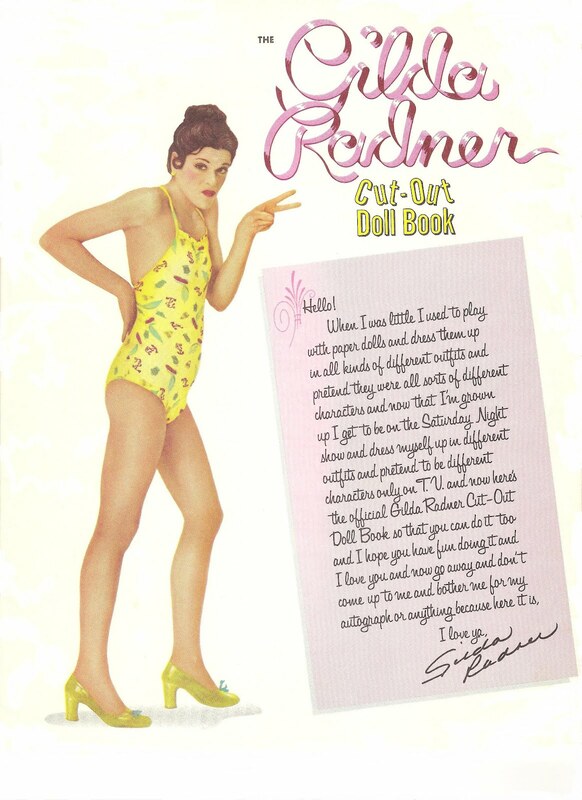 The GILDA RADNER Cut-Out Doll Book, 1979, Above Average Productions Inc., Avon Books. 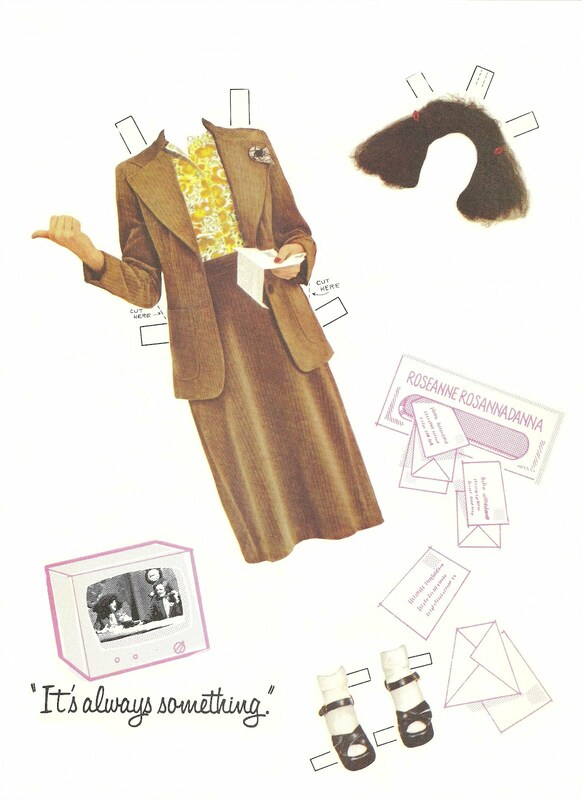 When I think of Gilda Radner I of course think of Saturday Night Live. She was a very funny woman. I also think of her struggle with ovarian cancer, a battle she eventually lost. My mom also went through that battle with ovarian cancer, a battle she won. 1998. 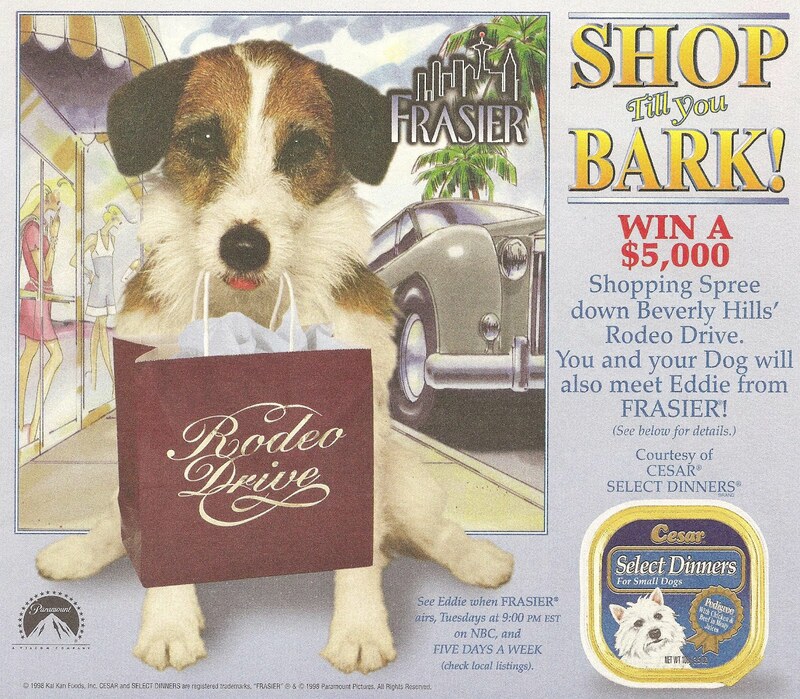 Okay, so this ad is not old but I am an "Eddie" fan. From SOUTHERN LIVING Magazine. May 04, 1941. Horace and his western hat. Many thanks to Edgar Martin. 1983. 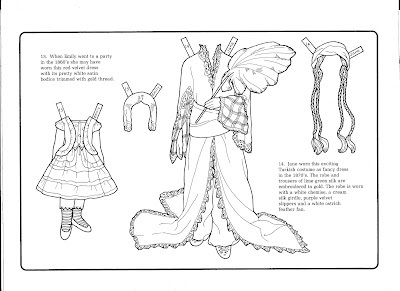 COSTUMES CUT AND COLOUR BOOK by Helen Herbert and published by Dinosaur Publications Ltd, Over, Cambridge, Great Britain. 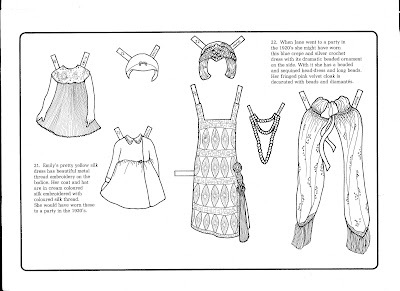 The costumes in this book are taken from Museums in Great Britain. 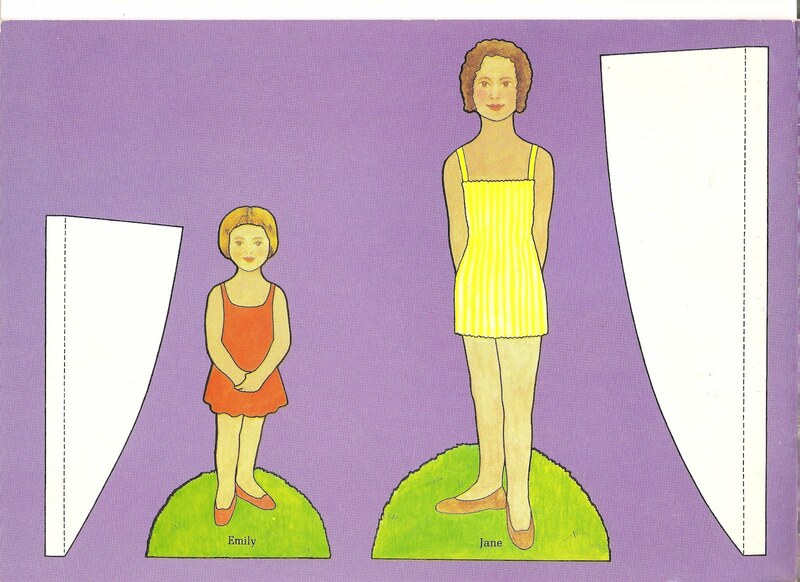 A terrific paper doll book that my mom purchused on her great adventure with Bobby in Britain. 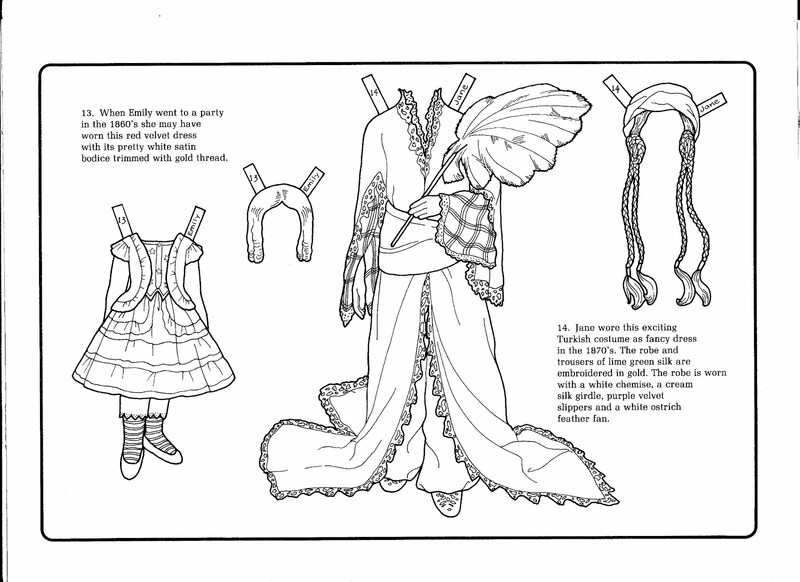 There are many more wonderful pages of costumes in this book - I highly recommend it. Thanks mom. July 28, 1940. Miss BOOTS is thrilled that it is Rodeo-Time in Houston. July 11, 1943. Howdy and welcome to all the cowboys that have come to town for the Rodeo. My thanks to Edgar Martin. 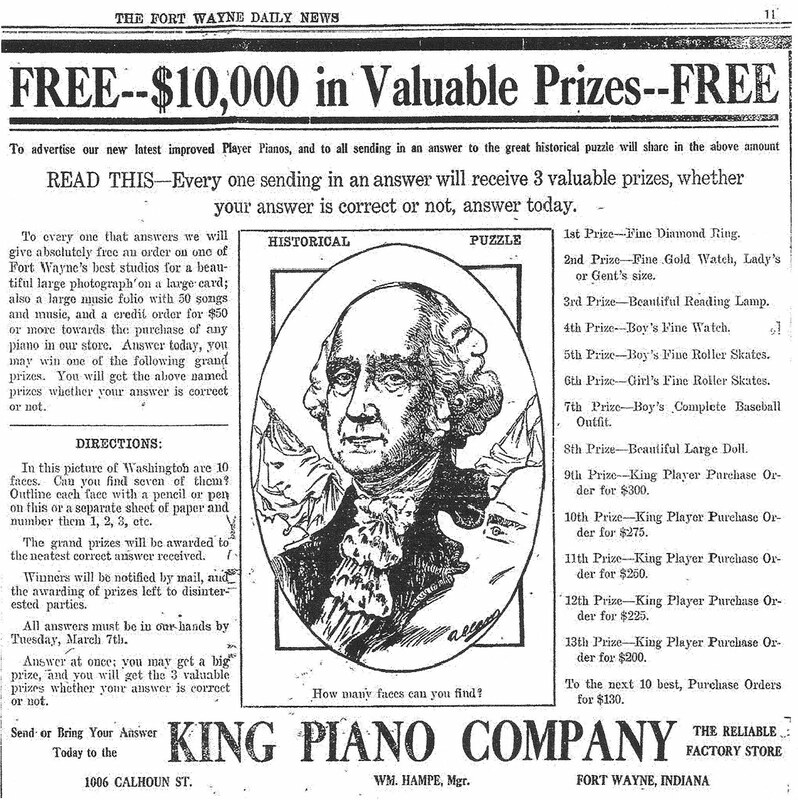 April 20, 1924. The Bunny Tots and Doggies - I Like! August 03, 1924. Chicks, Bunnies and Tots. 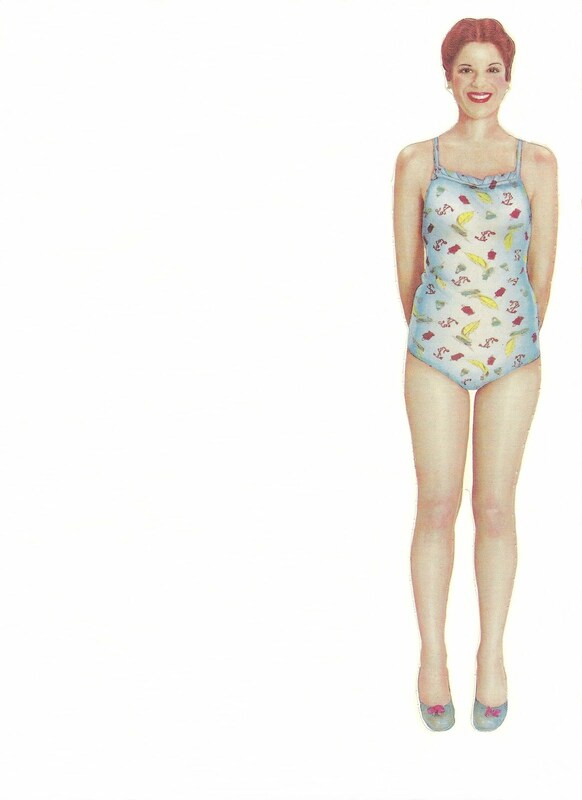 Those wonderful Bunny Tots illustrations by Edward McCandlish make me happy. 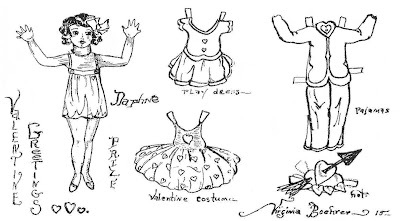 February 26, 1911. DIRECTIONS: In this picture of Washington are 10 faces. Can you find seven of them? Outline each face with a pencil or pen on this or a separate sheet of paper and number them 1, 2, 3, etc. 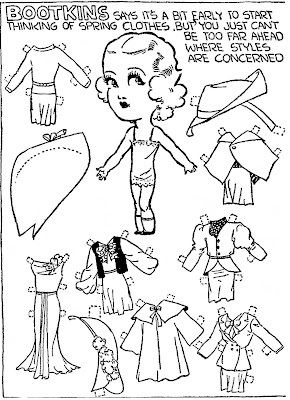 February 21, 1937. 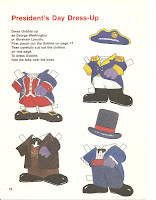 A George and Martha Washington paper doll by a S L T Junior member. 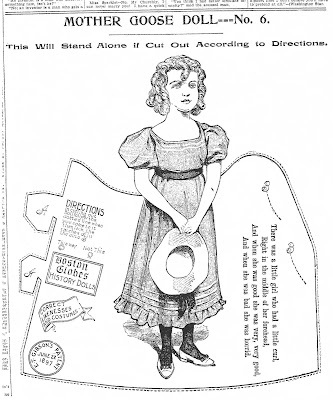 March 26, 1899. "In 1758 George Washington met Mrs. Custis, who was then but 26, seven months a widow, and the richest woman in Virginia. 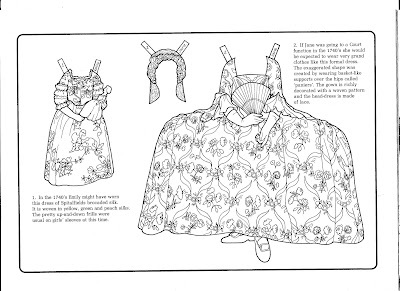 In January 1759, they married, Col. Washington dressed in blue, the coat lined with red silk and ornamented with silver trimmings; his waistcoat was embroidered white satin, knee buckles of gold. 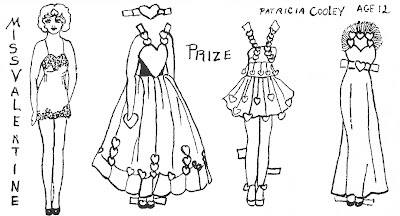 The bride was dressed in a white satin quilted petticoat, a heavily corded white silk over-skirt, diamond buckles and pearl ornaments. The bride was driven to her home behind six horses, Washington and cavalcade riding beside the coach. 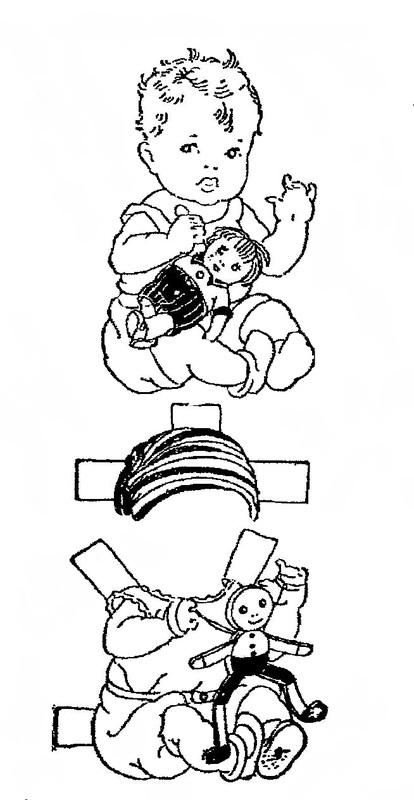 With her two children, she soon went to Mt. 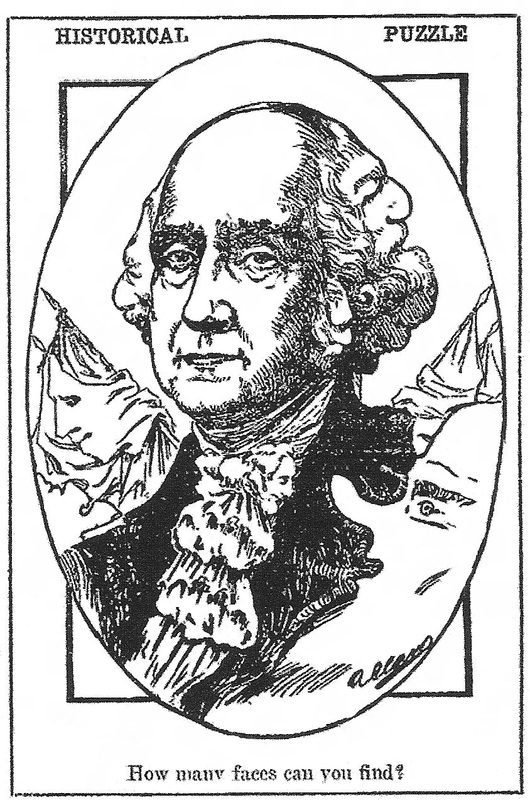 Vernon, Washington's home, and when revolution was in the air, she wrote in 1774; "My heart is in the cause, George is right, he always is. God has promised to protect the righteous and I will trust him." To Patrick Henry she said, "I hope you will stand firm; I know George will." 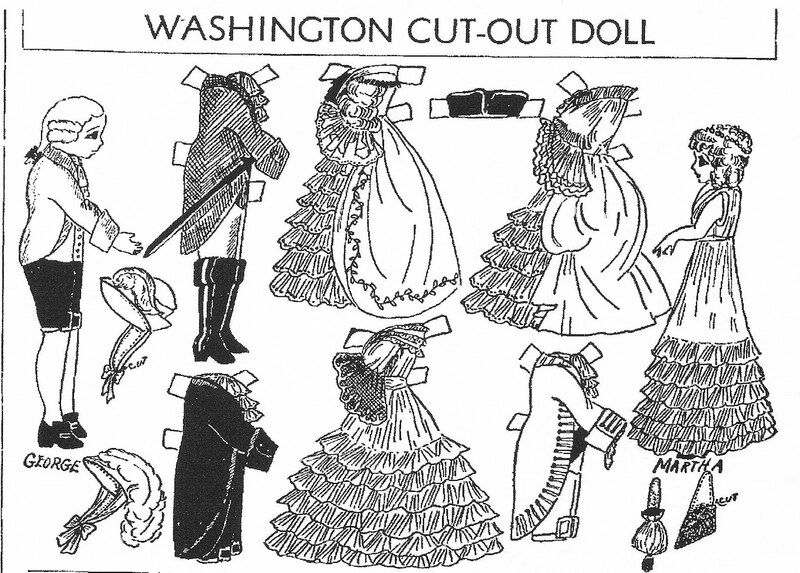 Her daughter, Nellie Custis, died at 17, and her son, George Custis, joined Washington's staff; her husband visited Mt. Vernon only twice during the long war. 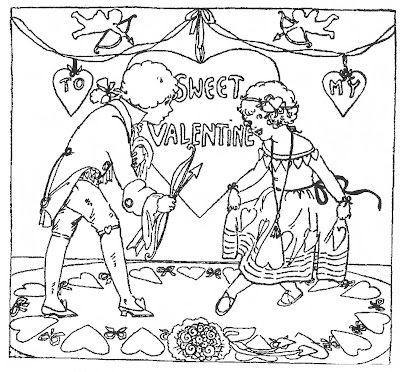 But Martha, affectionately called 'Patsey' by Washington, joined him at Cambridge in his headquarters at what is now known as Longfellow's house, and she was also with him at Valley Forge, suffering all the privations, and "busy from morning to night providing comforts for the sick soldiers". 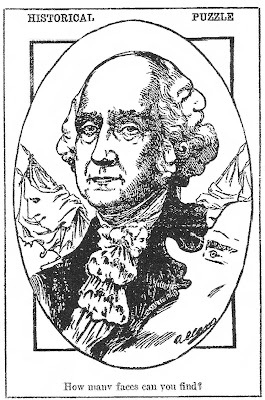 While her husband was president, an English visitor recorded in 1794 that "she was extremely simple in dress, and wore her gray hair turned up under a very plain cap". 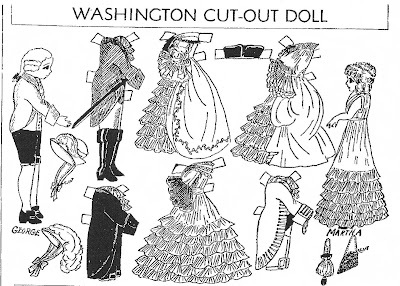 Her son died shortly after Yorktown, but left a daughter, Eleanor Parke Custis, and a son, George Washington Parke Custis, the latter marrying Mary Lee Fitzhugh, going to live at Arlington, opposite the city of Washington, and leaving a daughter who became the wife of Gen. Robert E. Lee. After the death of Washington, Martha moved to the only chamber which overlooked his tomb, and which was in the attic. There she passed the remaining two and a half years of her life, her constant companion being a favorite cat, for which a hole was cut in the door that it might go and come freely. In 1802 she died, after burning all the letters she had received from her husband, desiring to keep them sacred from the world." February 16, 1941. Many thanks to Edgar Martin. August 03, 1997. 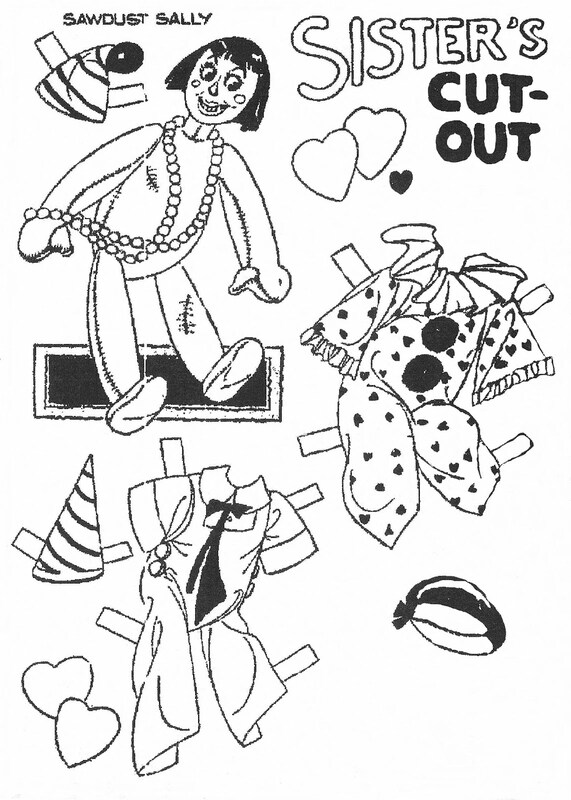 "Get the scissors, fun time calls! 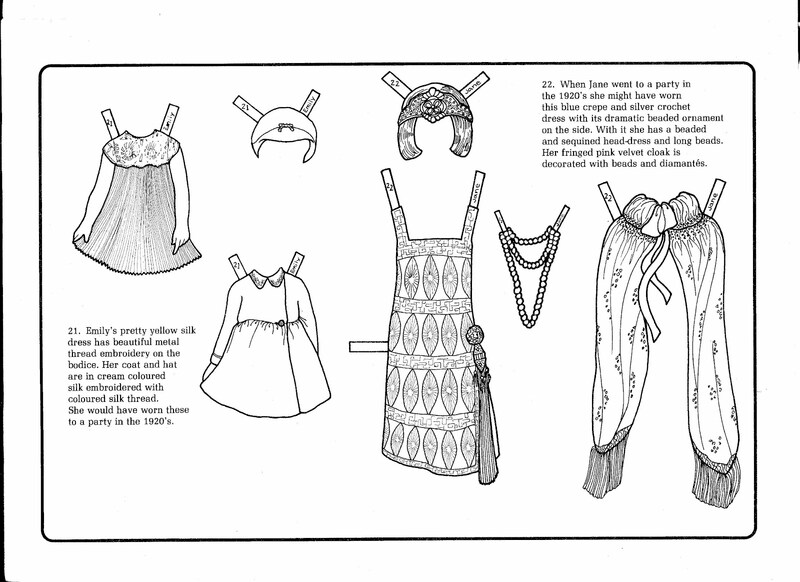 We love to dress our paper dolls." 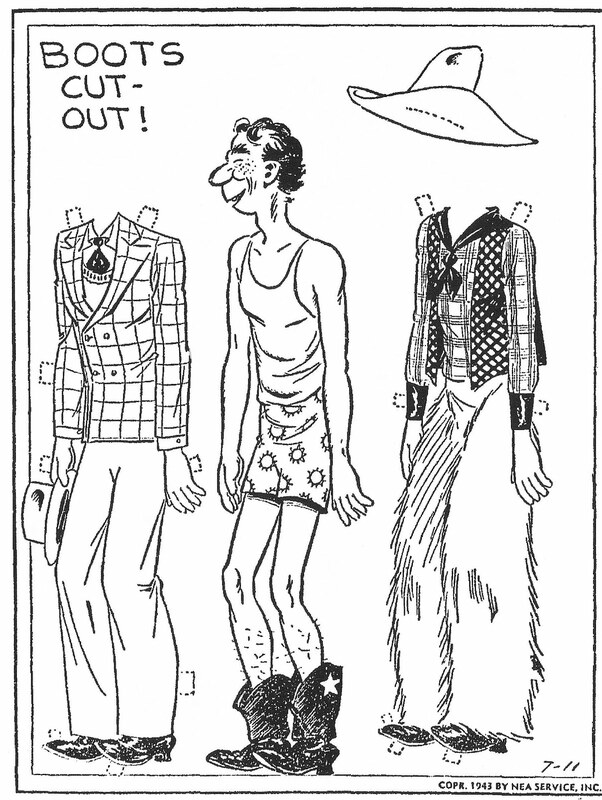 A Gasoline Alley comic strip paper doll that I cut out of the Houston Chronicle all those years ago. March 03, 1940. BOOTS is dreaming of Springtime. Many thanks to Edgar Martin. 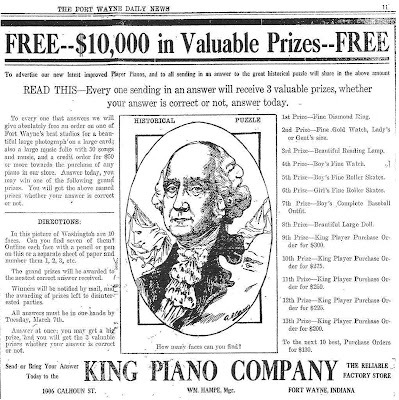 January 28, 1923. 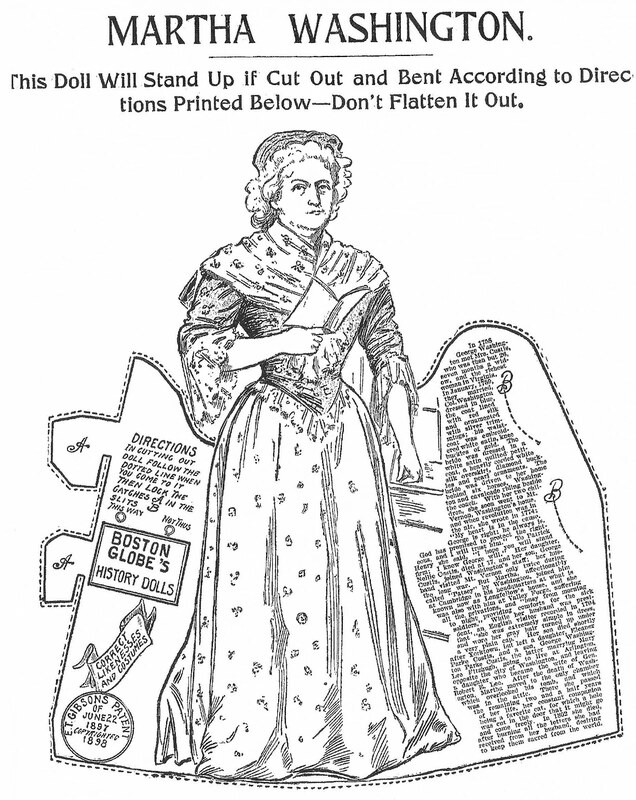 "Here is a cut-out of Pollykin as she looks when she goes a-skiing on the hills near her home in the country. 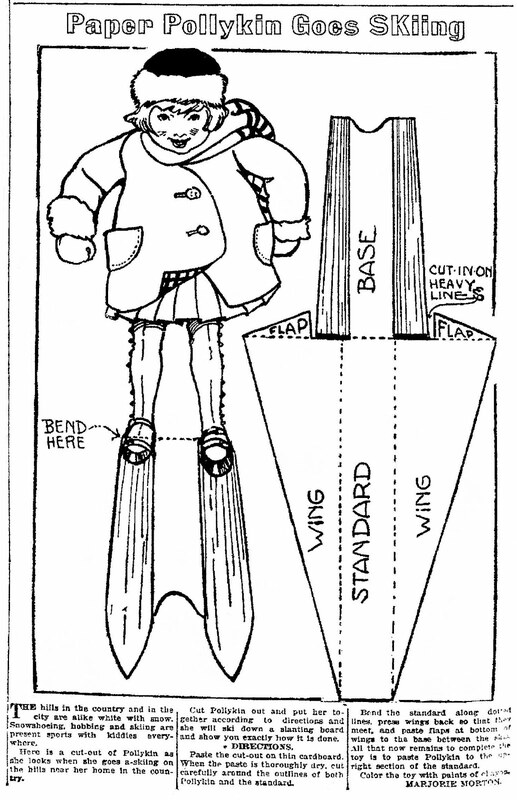 Cut Pollykin out and put her together according to directions and she will ski down a slanting board and show you exactly how it is done. 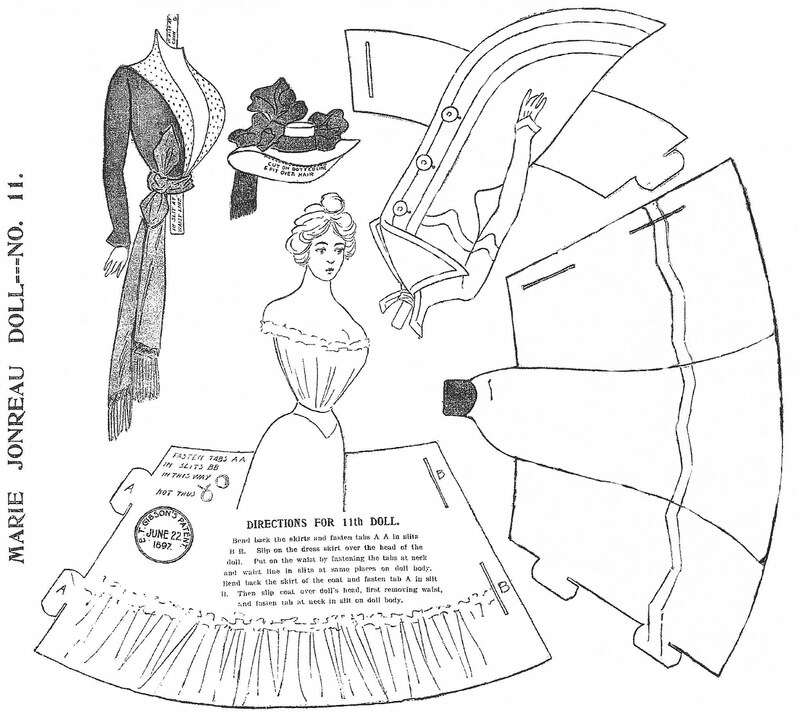 DIRECTIONS: Paste the cut-out on thin cardboard. 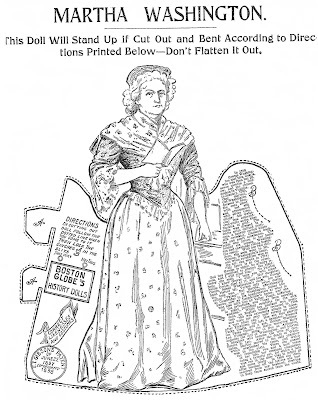 When the paste is thoroughly dry, cut carefully around the outlines of both Pollykin and the standard. 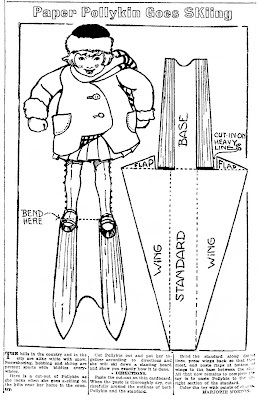 Bend the standard along dotted lines, press wings back so that they meet, and paste flaps at bottom of wings to the base between the skiis. 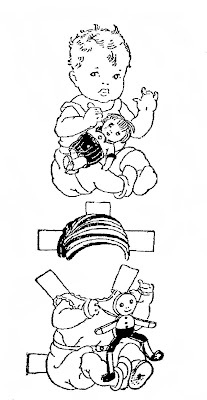 All that now remains to complete the toy is to paste Pollykin to the upright section of the standard. 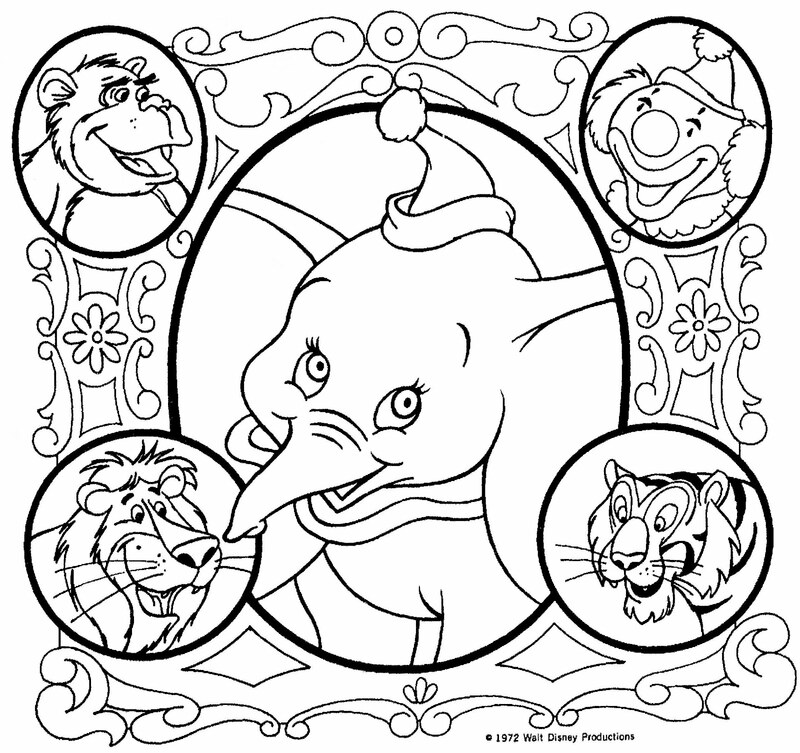 Color the toy with paints or crayons." February 14, 1937. My mom has requested a BOOTS a-day. 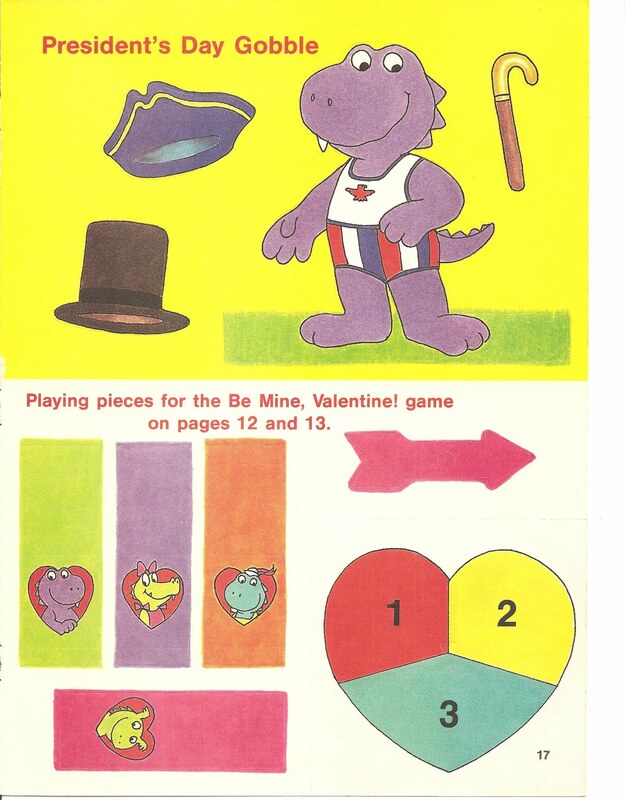 Well, here is a BOOTKINS that was published 4-months before my mom was born. 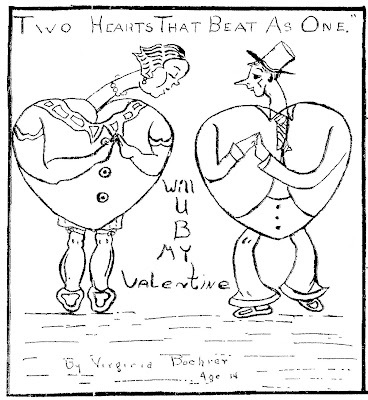 February 11, 1923. 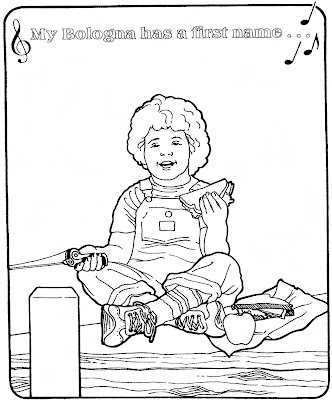 A very cute SUSIE MAY picture for children to color. 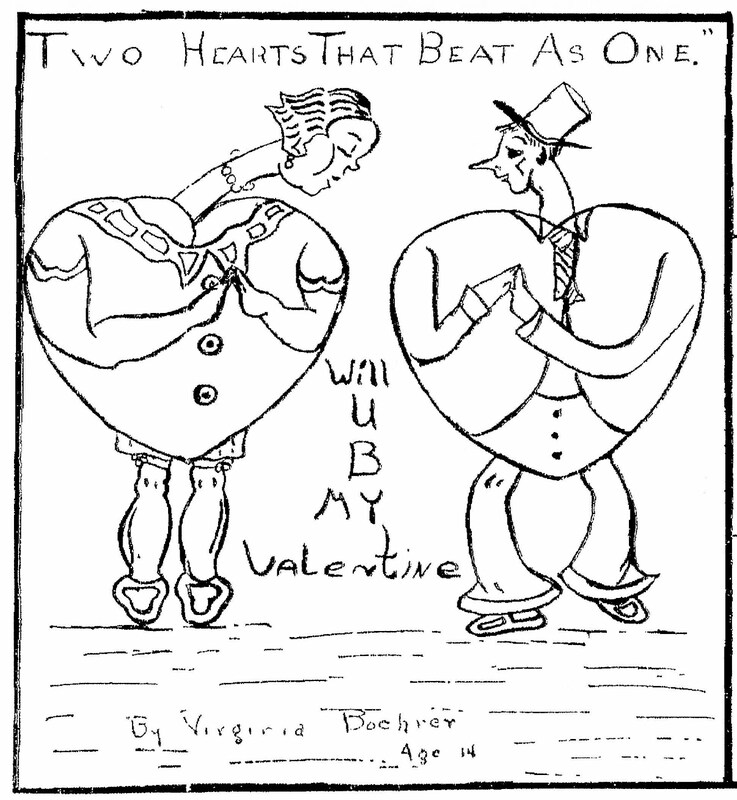 I hope everyone has an enjoyable Valentine's Day. 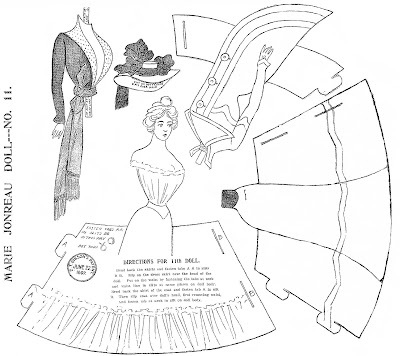 February 18, 1900. "There was a little girl who had a little curl, Right in the middle of her forehead, And when she was good she was very, very good, And when she was bad she was horrid." 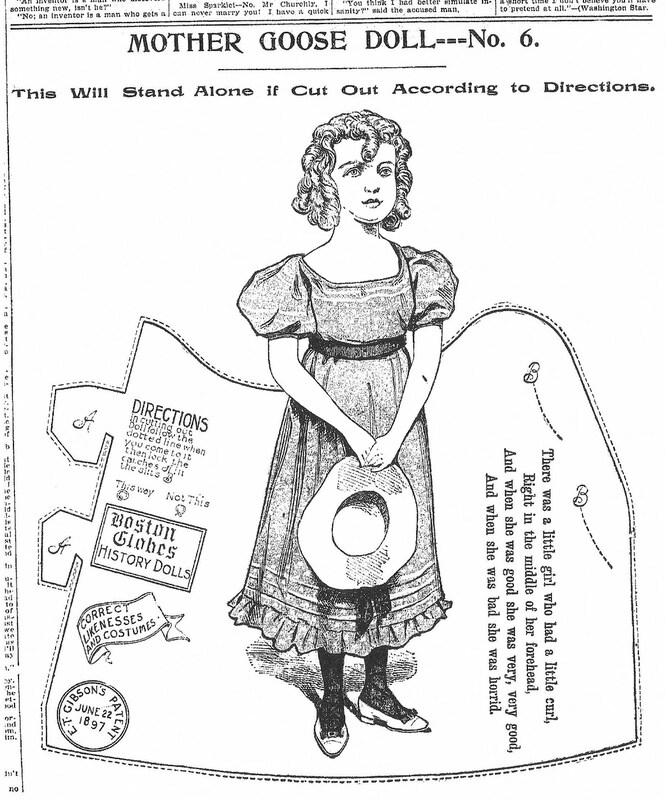 - - - - I guess we have all known at least one little girl like the girl with the curl. April 11, 1937. "There was a little girl, and she had a little curl, But this, my dear friends, is the joker - As she left the beauty shop, the rain began to drop. And the curl soon was straight as a poker!" Modern Mother Goose Cutouts by Addie Woodruff. 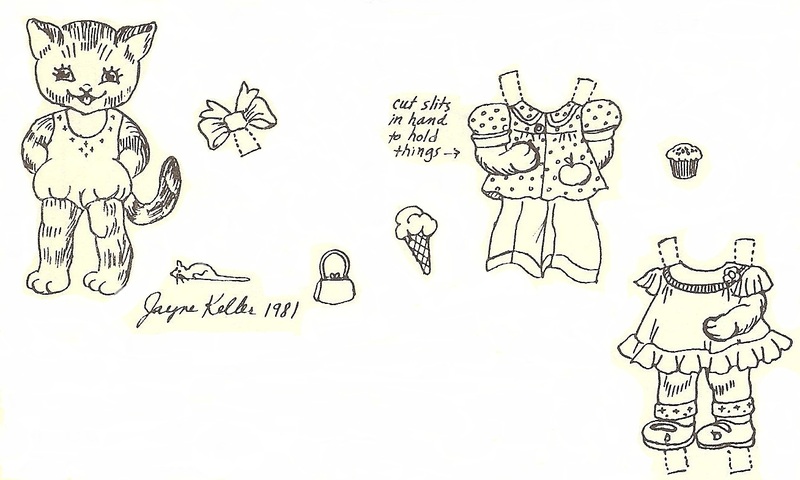 By Frances McCarthy, age 16. 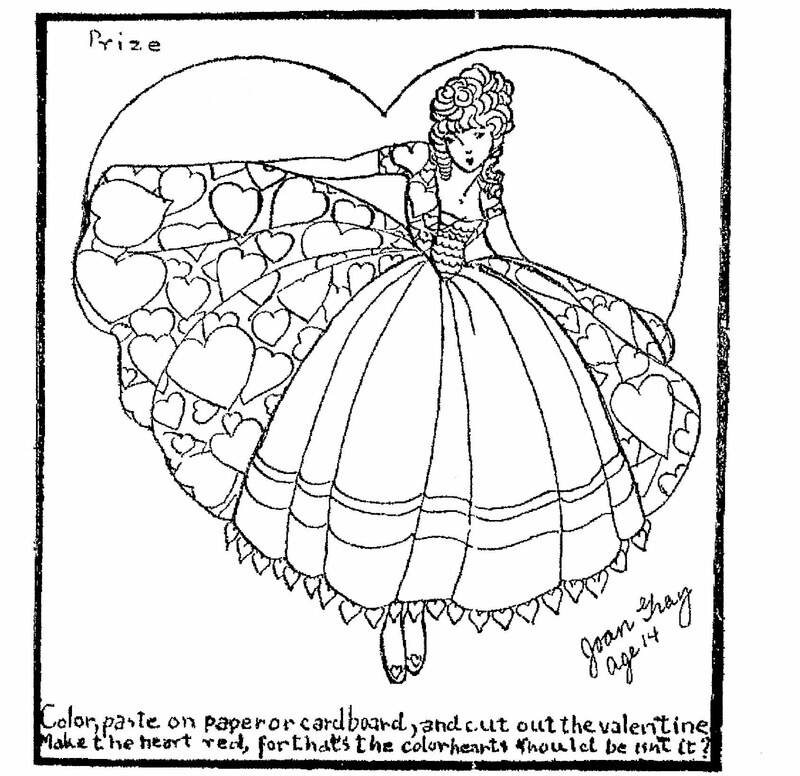 Color, paste on paper or cardboard, and cut out the valentine. 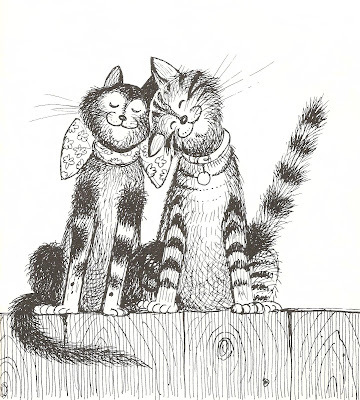 By Joan Gray, age 14. 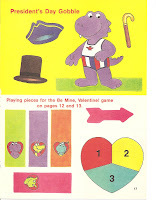 Will U B My Valentine? By Virginia Boehrer, age 14. 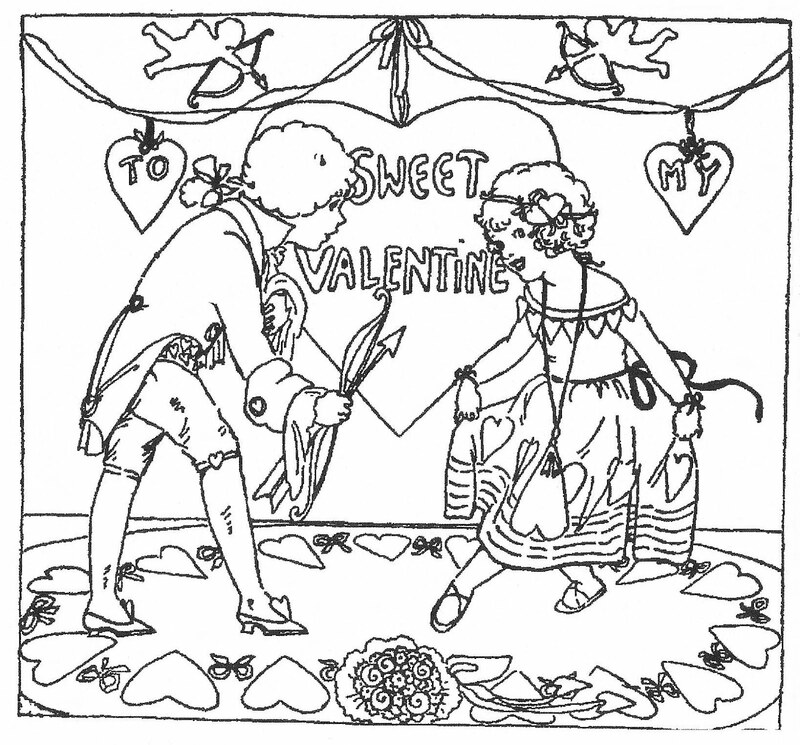 - - - - Valentine cards made by Aunt Elsie Club members from February 12, 1928. 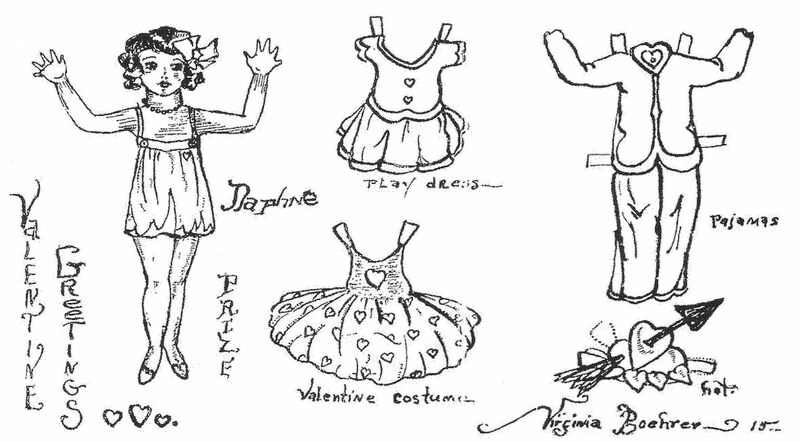 All of these girls also submitted many paper dolls that were published from the late 1920's to the early 1930's. 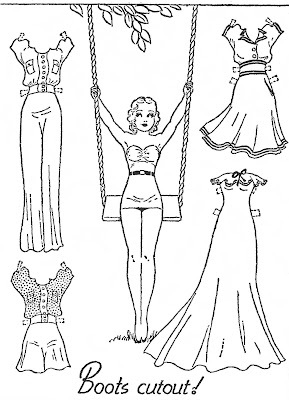 February 11, 1940. 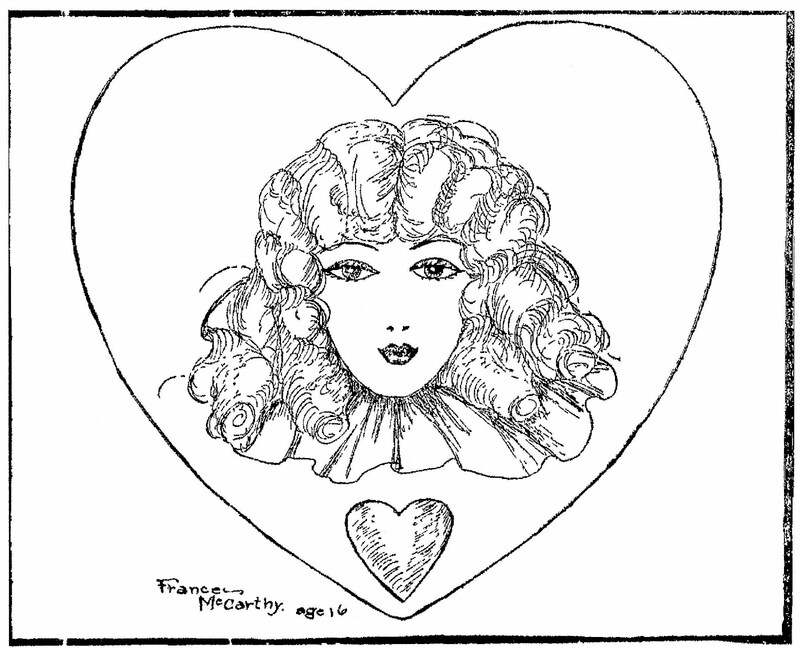 Myrtle is ready for Valentine's Day. 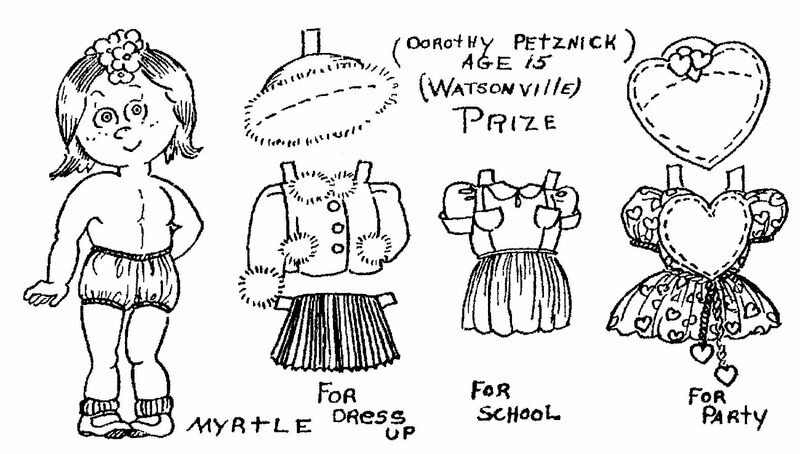 Paper doll by Dorothy Petznick, age 15. 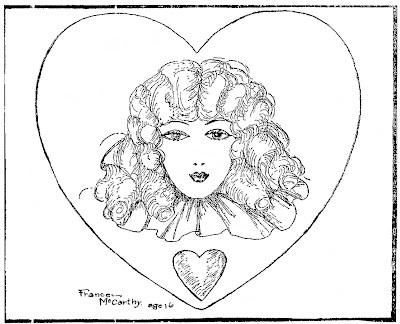 February 17, 1929. 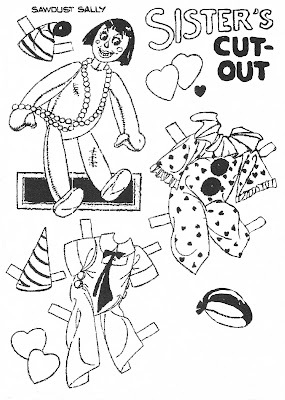 Valentine Greetings from Daphne the Paper Doll by Virginia Boehrer, age 15. February 09, 1936. 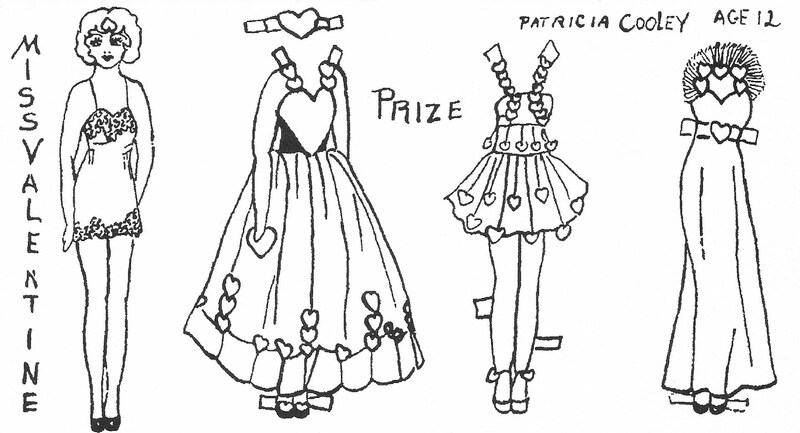 Miss Valentine by Patricia Cooley, age 12. 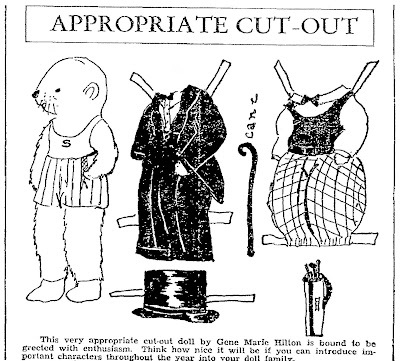 August 26, 1923. 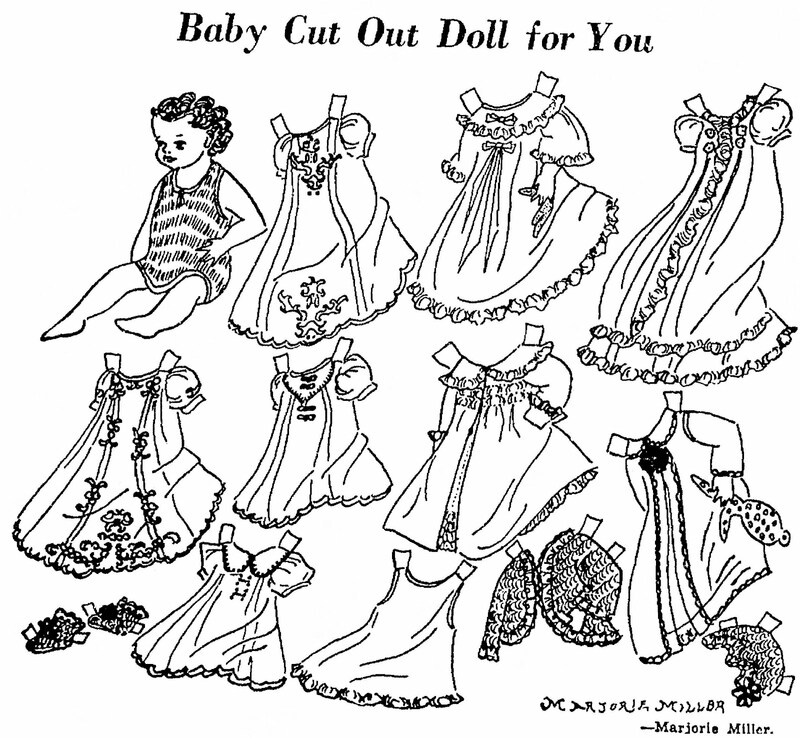 The Worst Baby In Town paper doll from the Betty Cut-Out series. "What I can't understand", said Roger in disgust, "is that a boy like I am should have such a bad brother as Baby." February 15, 1959. 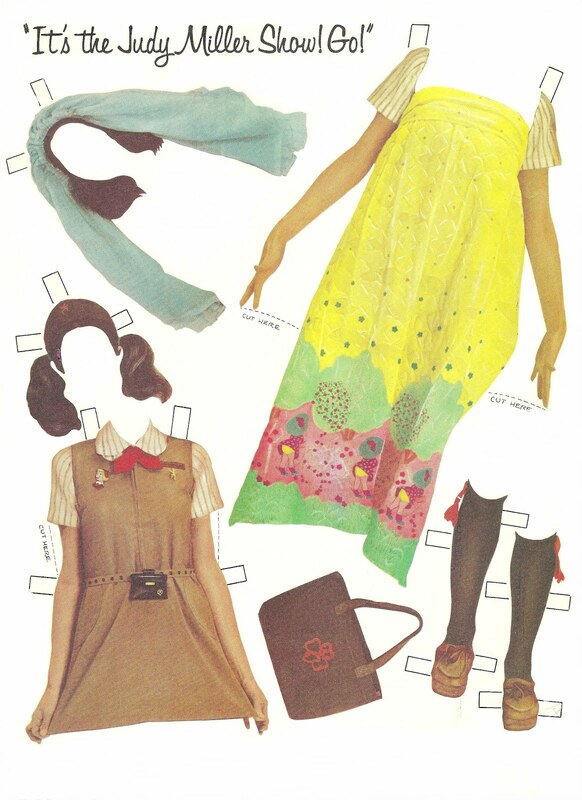 The date on the paper doll is actually a week later than it appeared in the newspaper. 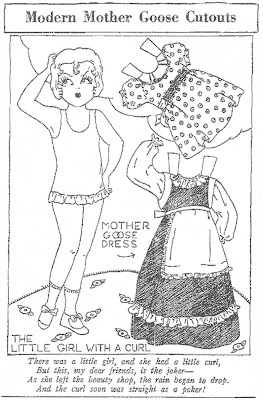 This paper doll is from the comic strip, MOPSY, by Gladys Parker. 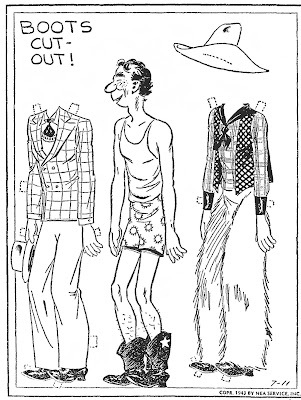 November 13, 1972. 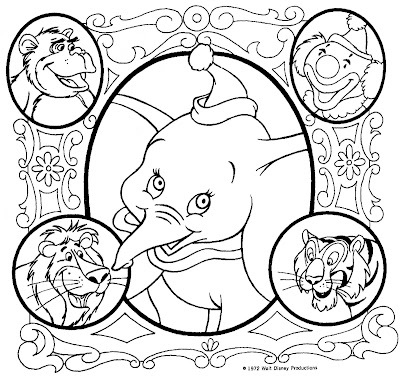 A newspaper coloring contest for the re-release of the Disney classic, DUMBO. 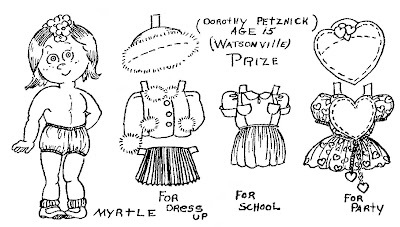 February 18, 1934. 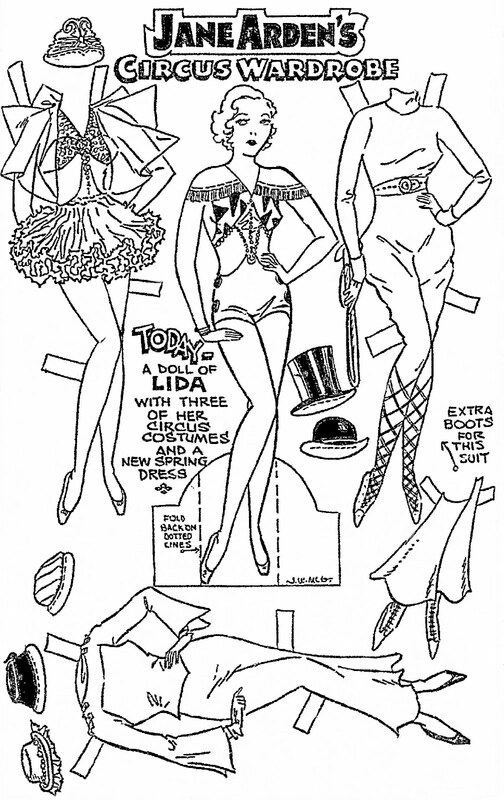 Sawdust Sally the paper doll from the comic strip, THE KID SISTER. February 25, 1934. 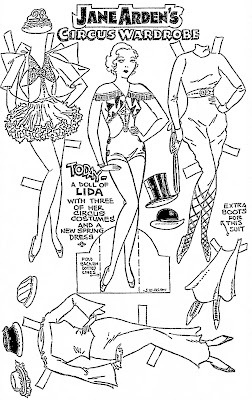 A Doll of LIDA with three of her circus costumes and a new spring dress. 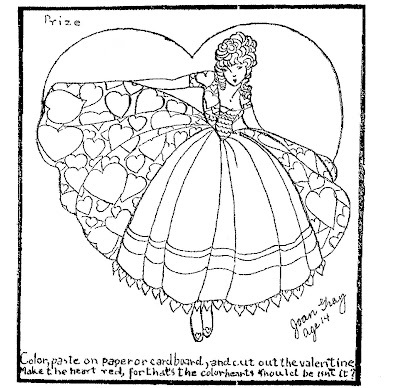 From JANE ARDEN Comic Strips. 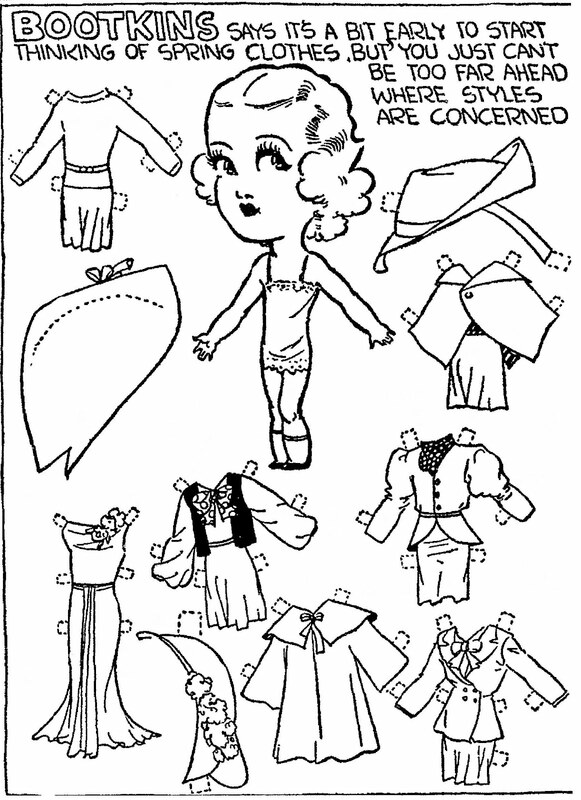 November 14, 1937. 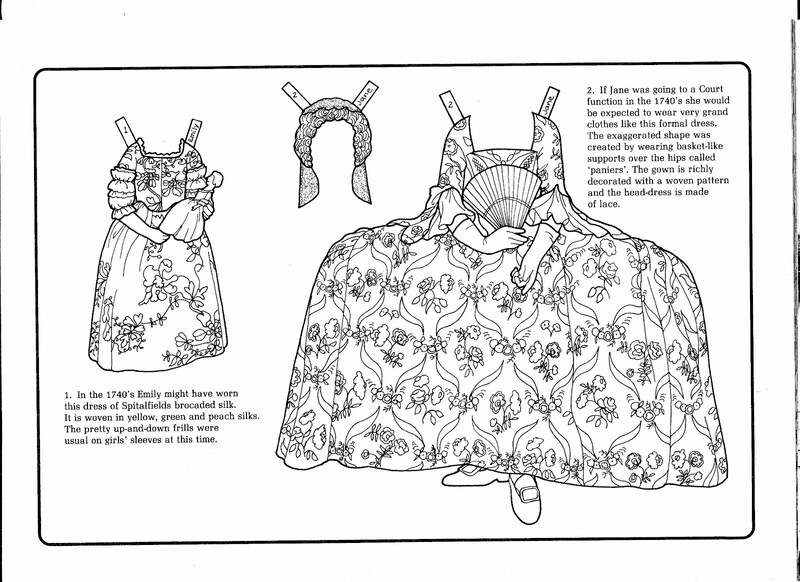 I like the baby's jacket, bonnet and booties that actually look like crochet-work. 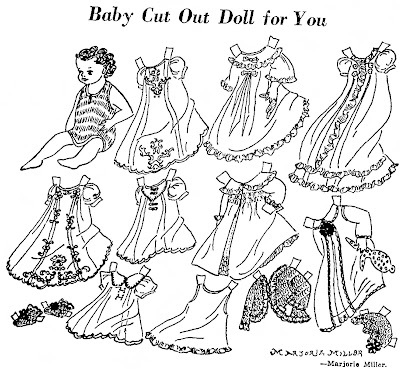 Baby paper doll by Marjorie Miller, S L T Junior. 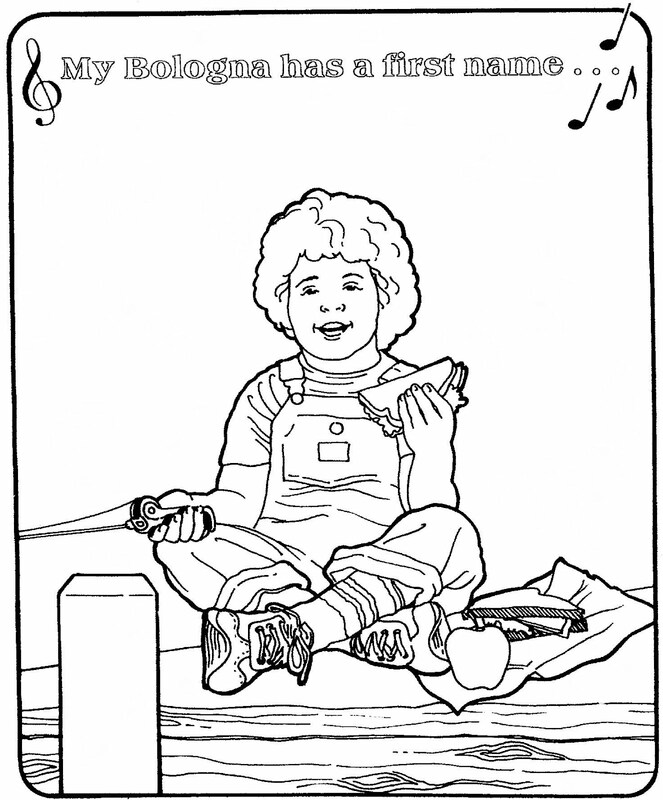 "My Bologna has a first name . . . ."
January 31, 1988. 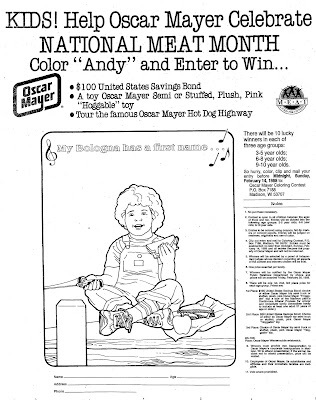 An OSCAR MAYER coloring contest that appeared in newspapers to celebrate Meat Month. 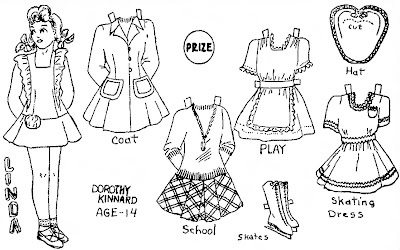 "Color Andy and enter to win . . ." I remember this little boy from the commercials. 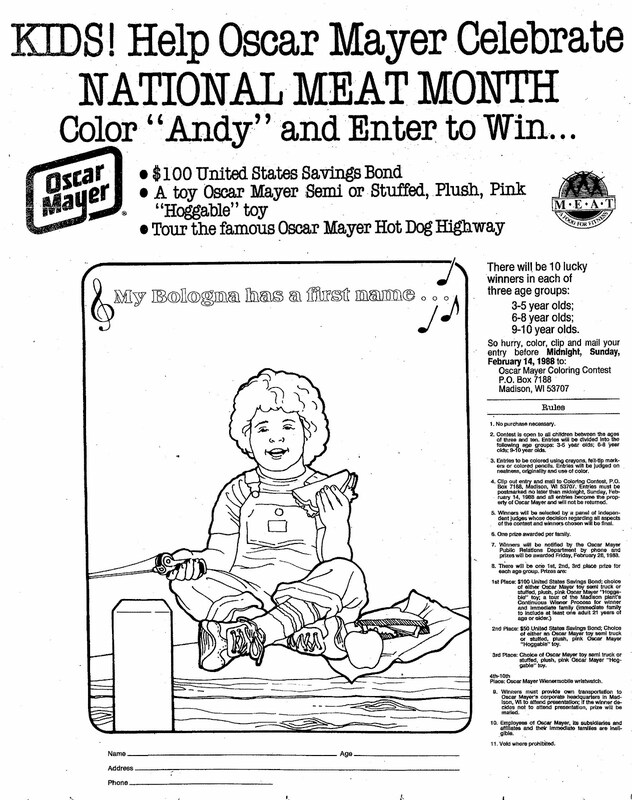 One of the prizes was an Oscar Mayer Wienermobile wristwatch! July 23, 1944. 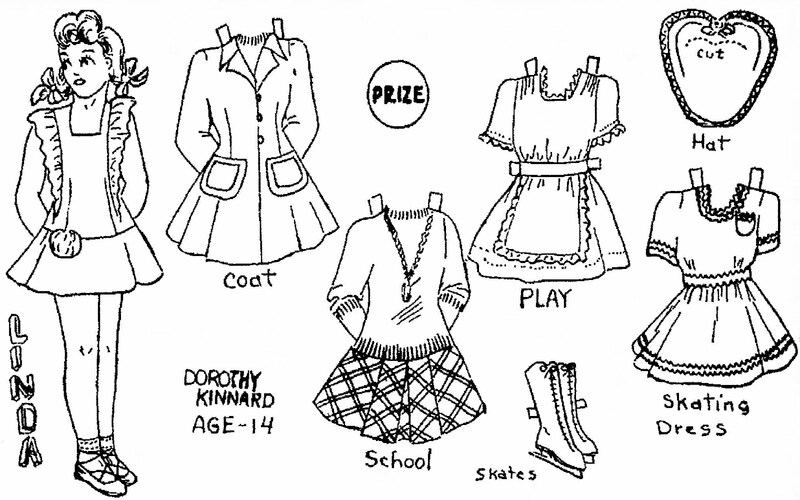 Dorothy Kinnard, age 14, drew this cute LINDA paper doll. 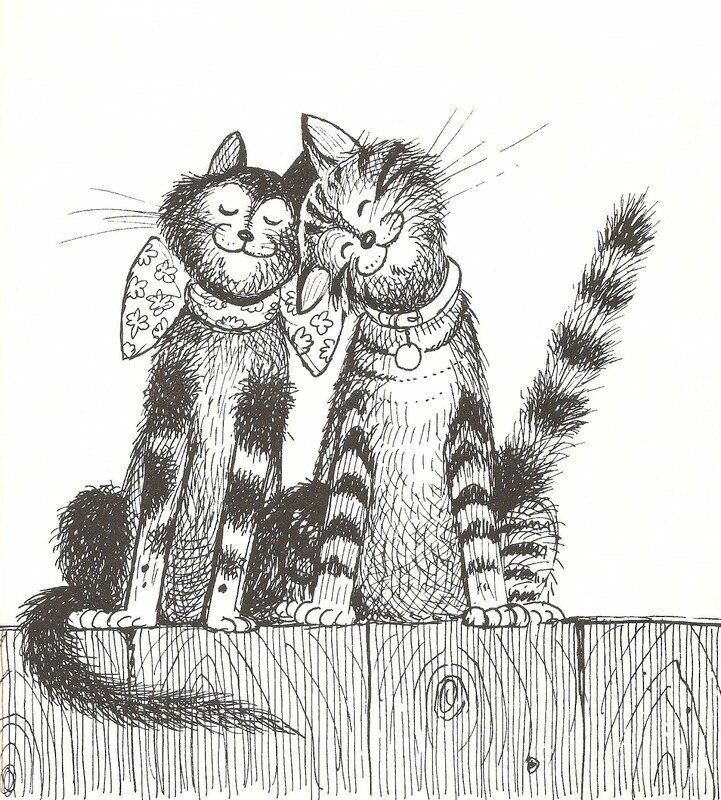 An illustration from the book "The Calculating Cat Returns" by Eric Gurney, text by Nancy Prevo, 1978. Published by Prentice-Hall, Inc., Englewood Cliffs, New Jersey. 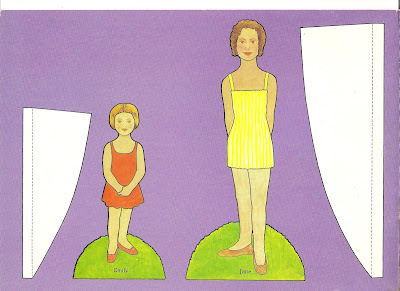 Two very cute paper dolls by Jayne Keller from The Original Paper Doll Artists Guild Cookbook, 1986. The paper dolls are from 1981. 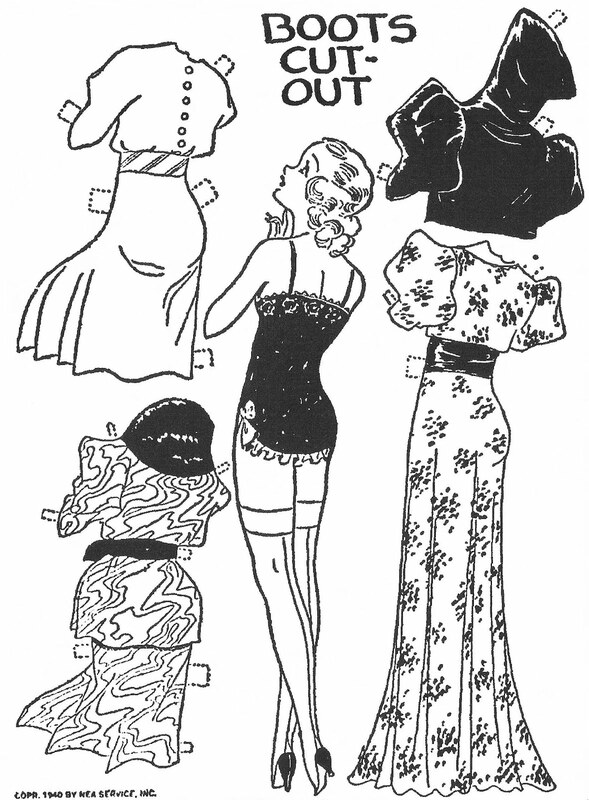 January 27, 1935. 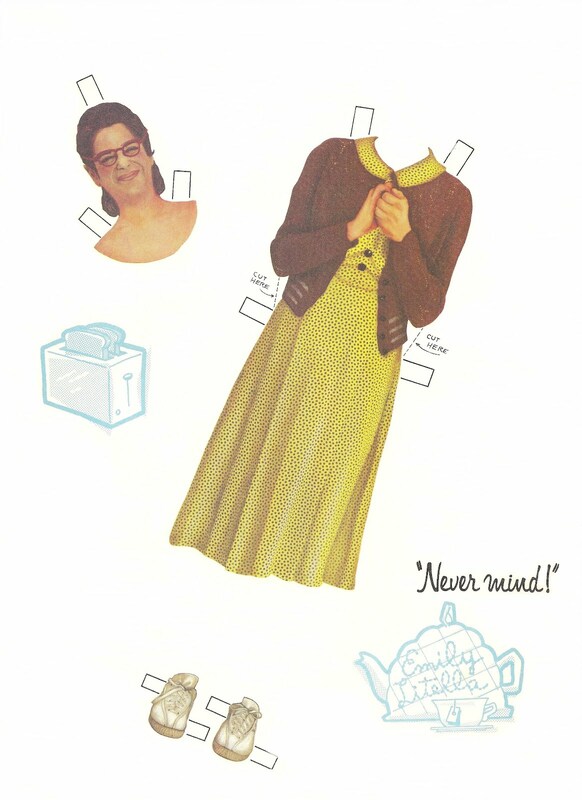 A groundhog paper doll by Gene Marie Hilton, a S L T Junior member.